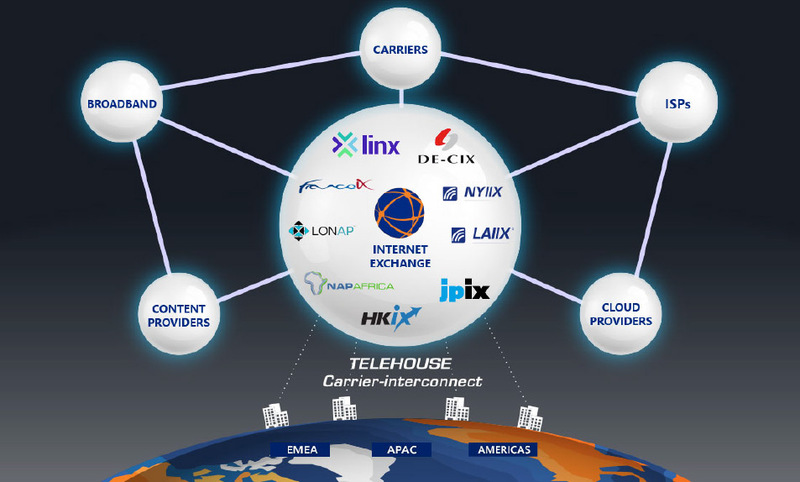 As one of the most widely connected ecosystems globally, Telehouse Carrier Interconnect brings together more than 800 connectivity partners – such as leading global Internet Exchanges and Tier 1 carriers – with all the major Mobile, Cloud and Content providers, as well as Enterprises and Financial services companies. With more than 3,000 business partners to connect to, Telehouse Data Centers are a unique place to create business opportunities, now and in the future. Telehouse is renowned for hosting some of the world’s most important internet hubs. With Peering partnerships with key platforms in the USA, Europe and Asia and Africa, Telehouse plays a key role in supporting the growth of interconnectivity. Over 3,000 companies use our network-rich Data Centers providing access points to the financial, cloud, IT and consumer markets.